Look at us eating crunchy RAW vegetables on a FRIDAY. Like, instead of pizza or burgers. Don’t worry. I cooked half of the veggies. I didn’t want to throw you into the weekend aboard the crazy train, since weekends sometimes can get a little nuts on their own. Unless you’re the youngest-grandma-person-ever like me, and you consider siting around, watching TV and knitting teensy sweaters for your dog a “bumpin” Friday night. Point proven by the use of the word “bumpin.” I also am only half kidding about the sweaters. You guys. My heart never used to be “in it” when I got on the topic of raw vegetables with random strangers. Partly because I’ve never been in above mentioned conversation…uuuuuunless you count the poor grocery-store-worker who had to go to the back for more turnips because the ones on display WEREN’T PRETTY ENOUGH. BUT, also partially because, well, I just have never really enjoyed munchin’ on them. I looked at those healthy-glowy-skinned-happy-people on TV who brought containers of raw peppers and carrots to work and it just. Did. Not. Compute. My face just didn’t dig that crispity, crunchety freshness of the raw veggie. Which is NOT at all like my texture-loving-self. Uhmm, until creamy peanut sauce waltzed into my life and covered my heart in thick, sorta-sweet and just a littlebitspicy NUMS. Except its peanut sauce…without peanut butter. No friends, you did that wrong. There’s a reason why we don’t do math on Fridays (I just made that rule up, but I like it) It’s just too hard. The correct answer is peanut flour. Because PROTEIN. Oh, and there’s cauliflower rice. Because it’s a little bit crispy and a whole lot of “hi, I know we just ate it with those Cauliflower Rice philly cheese steaks, but I’m obsessed with it and will eat it always.” There’s also some coleslaw for the CRUNCH. You could even skip a few steps and use the Oriental coleslaw with Asian dressing inside! I know they say “it’s the inside that counts” and, that IS true…to an extent. But, we all know that a good wrap really comes down to, well, the wrap itself. It’s got to be soft yet firm enough to hug all the fixin’s inside without causing them to fall all over your lap when you bite in, causing you to go from the receiver of lunch envy to..
Let’s not talk about sad things on Fridays. 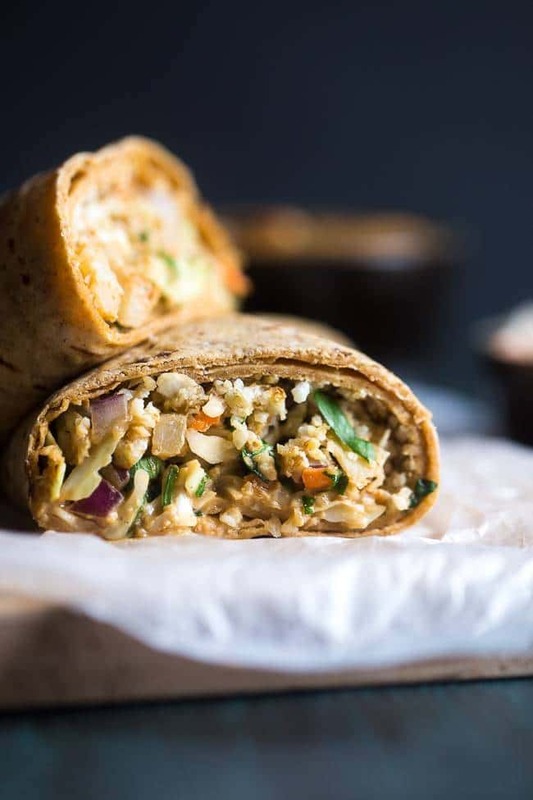 Let’s talk about these Flatout ProteinUP Carbdown Flatbread wraps instead. 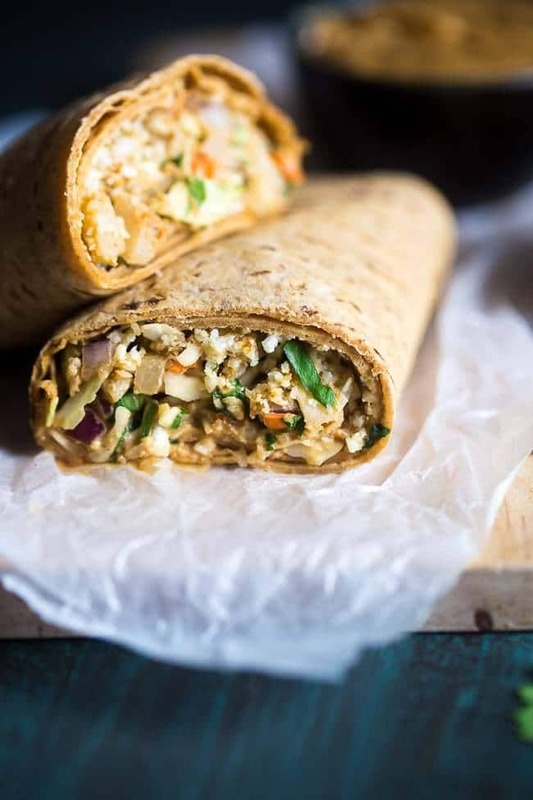 Like you MAYYYY have guessed from the name, these wraps have EXTRA protein (12 to 15 g each!) AND they come in 3 YUM flavors! That was my heart skipping a beat. Did I mention they also only have 8 to 10g net carbs each? I KNOW. It’s all kind of perfect for the whole vegetablies-on-the-inside thing we’ve got going on. It’s like health wrapped up in health. The one rule I suggest you don’t break is “meatless Monday.” Because it’s coming. And these wraps are justttt on time. Like, so on time that THEY’RE EARLY. In a small food processor (mine is 3 cups) process the cauliflower until it is the consistency of rice. 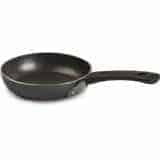 Heat the 1/2 tsp peanut oil in a medium panon medium heat. Cook the cauliflower, uncovered, until light golden brown, stirring occasionally. This will take about 7-10 minutes. 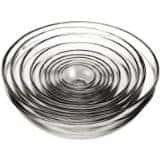 While the cauliflower cooks, mix the coleslaw, cilantro, red onion and water chestnuts in a small bowl. Set aside. In a small bowl[/url], [url href=http://amzn.to/1L11RNo target=_blank rel=nofollow]whisktogether the peanut flour, lime juice, soy sauce, sriracha, rice vinegar, fresh ginger and honey until smooth. While whisking, stream in the peanut oil and stir until the vinaigrette thickens and becomes creamy. 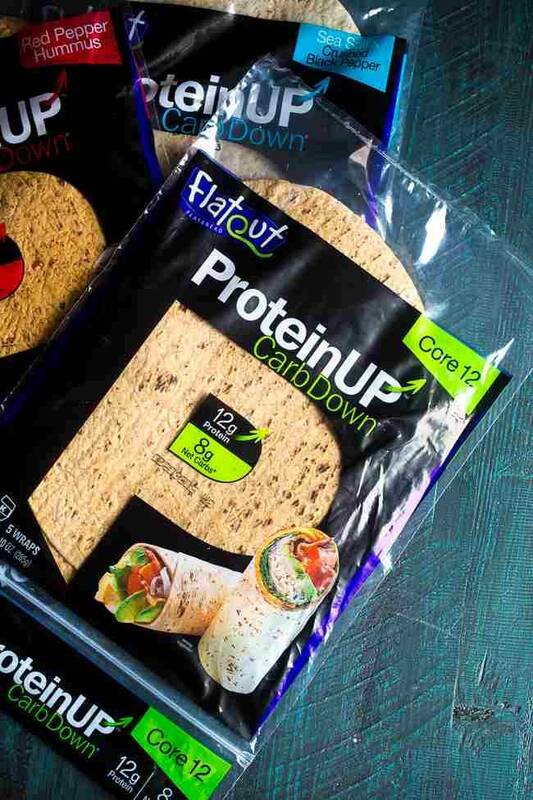 Now I know you want to try Flatout ProteinUP Carbdown Flatbread Wraps yourself! Head to Walmart, or Publix, to pick up them up AND snag this buy one get one FREE coupon! 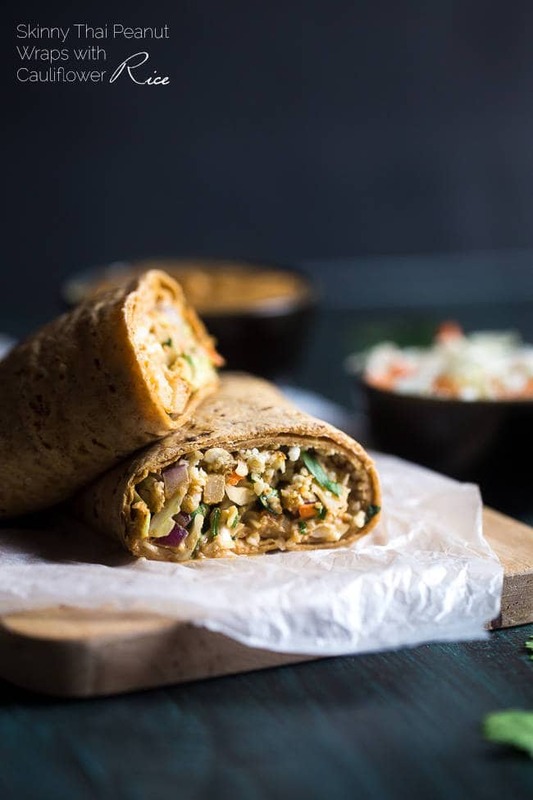 Wraps make the best lunch! I need to try those rice wraps and delicious fillings! They sure do! 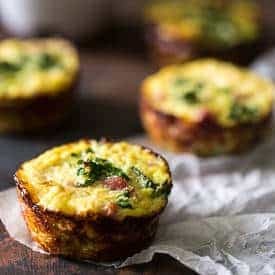 So quick, easy and filling! Thank you girl! You and me both..it’s always a winner! 🙂 Thanks chica! Anything with peanut butter flavor in it makes me weak in the knees. 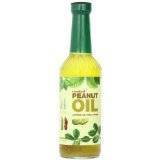 We bought our first container of peanut oil about a year ago and love it. Flat outs are just excellent. Have yet to make cauliflower rice but there’s a first for everything. Oh me too, I could eat peanut butter at every meal! 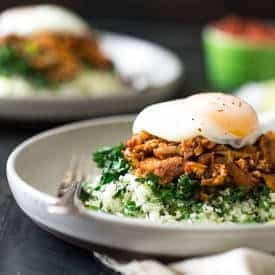 You definitely need to try some cauliflower rice, it’s really tasty! Thanks Tom – have a great weekend! Um why yes I need those wraps in my life. Like now. And Thai cauliflower? Just calling my name! I knew these would totally be your jam! Thanks chica! I’m such a sucker for peanut sauce! You and me BOTH girlfriend! Thank you! Thank you Chelsea! And you as well! Yeah! They are BRAND new, so I was pumped!! Thanks so much girl! and you too! So delicious and so healthy – bookmarked! What?! You NEED to try it Sam, it is my life! 🙂 Thanks! You and me both Heather! Thanks! This looks wonderful. I enjoy wraps like this for lunch, but especially when I travel. They are easy to create, transport, and need little refrigeration. Yes, they are SO good for that! Thanks Nicky! 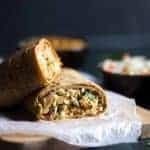 These wraps look absolutely amazing! I’m loving the sound of the peanut sauce too. So good! I am all about a good peanut sauce 🙂 Thank you! This sound and looks delicious, I’m all about wraps these days! Me too Gerry – thanks! I love wraps and this one has it all Taylor! Can’t wait to give it a try! Pinned! I love their wraps seriously so good! And this thai recipe rocks my world, can’t wait to try it! Aren’t they the BEST?! Thank you lady! I would love to try these. I’ve been making a lot of wraps lately. They’re so easy to make and easy to pack for lunch. Paradise Bakery used to make a Thai wrap that I loved but they discontinued it. 🙁 This looks like a healthier version. Thanks for sharing! I love wraps for the fact that they are so easy! You totally need to try these, they’re super tasty 🙂 Thanks Sandra! 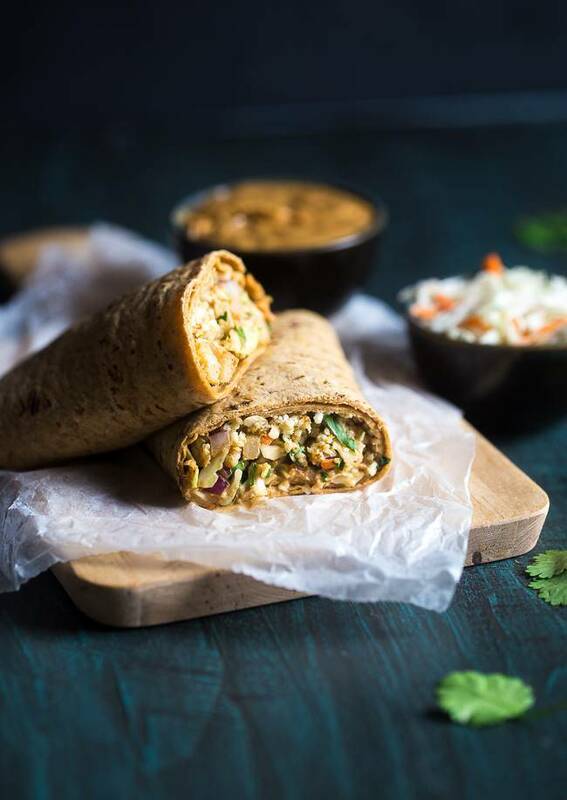 These wraps look mouthwatering! 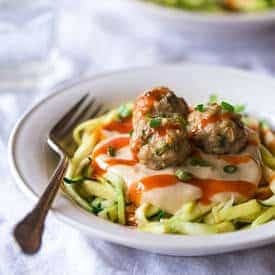 I love all the yummy veggies and flavors you added in here and the cauliflower sounds perfect to tie everything together! So healthy and delicious! Thank you so much Kelly! Have a great long weekend girl! You had me at “skinny”. I love your blog! Are you interested in becoming a recipe partner? I am SO into Thai food too, thanks so much! Thank you Patricia! I hope you love it! Happy weekend! Thank you Taylor for the nice recipes. Have a safe, but fun long weekend! Thanks for your sweet comments Liz! Have a great long weekend too! Never thought of this! YUM!! I was pinning these today and flipping my lid for them. So pretty. I bet they taste amazing. You are so sweet! Thank you Kim! This looks so yummy! And I’m totally stoked because Flat-Out is releasing their gluten-free wraps soon!!!! Which means then I can totally make this 😉 Until then, I’ll still make it anyway…with a gluten-free tortilla 😉 XOXO Delish! WHAT! I am so pumped about that, I had no idea!! Thank you girl, hope you love! Peanut flour? I must procure! You and me both! Perfect lunches 🙂 Thanks Michele! I’m normally not super into raw veggies either, but I can make an exception where peanut sauce is involved! Right?! Peanut sauce all the things! Thanks girl! Just made these. Hubs and I both thought they were great. Thanks for the recipe! Yay! I am SO excited to hear that! You’re so welcome!